Top seed Jiri Vesely ended Kaichi Uchida’s dreams of a home victory in the Osaka Mayor’s Cup after clinching a straight sets win but hopes are still alive in the girls’ draw. Fourth seed Uchida has always done well in his home tournament, breaking through as a qualifier in 2008 and had reached the semi-finals of Wimbledon this year. 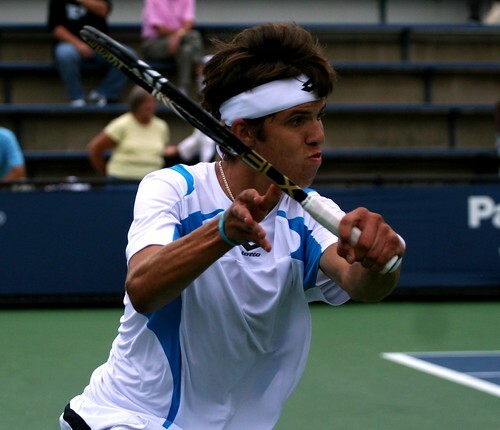 But once again he failed to make his Grade A final debut despite putting up a fight in the second set losing 6-1, 7-5. 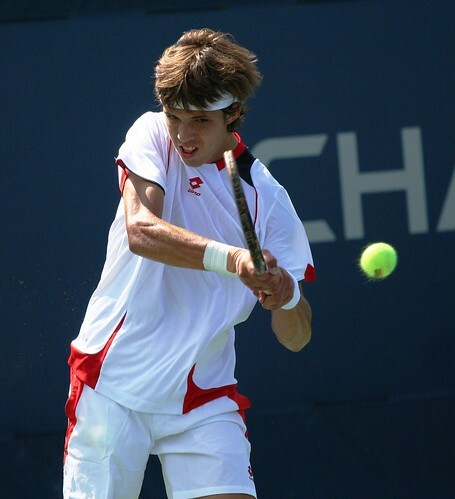 World number one Vesely has gone from strength to strength since claiming the Australian Open crown in January having reached the final of the US Open and featured in the Davis Cup alongside fellow Czechs Tomas Berdych and Radek Stepanek. He’s now into his third Grade A final of the year where he will face Lucas Pouille of France. Having a junior ranking of 131 is somewhat undeserved for Pouille as he’s concentrated on the Futures this year following a quarter-final run at the Australian Open. The 17-year-old has defeated four seeds en route to the final including second seed Luke Saville and followed that up with another win over Aussie opposition in the semis. Nick Kyrgios, the 14th seed, put in a hard fought display having won the first set on a tiebreak before losing the second the same way. Pouille managed to gain the crucial break in the third though, to take it 6-4. The last Japanese winner in the girls’ event was Kurumi Nara in 2007 and this year’s seventh seed is one step away from matching that triumph. Makoto Ninomiya, from Hiroshima, defeated her sixth seeded opponent Kathinka Von Deichmann thanks to her superior shot power and grit to come back from a set down. With just four places separating them in the rankings it was always going to be a close match and after winning a second set tiebreak 7-4, Ninomiya clinched the match 6-4 in the third. In contrast, the other semi-final was more of a rout. Polish 12th seed Zuzanna Maciejewska disposed of 13th seed Ratnika Batra easily and if it wasn’t for the solitary game the Indian secured in the first set it would have been a double bagel. Batra complained of an injury to her right leg after the match but accepted the loss against a player who’s only dropped one set in the whole tournament. It will be the first Grade A final for both Ninomiya and Maciejewska.